It's silme-y and MORE stickier than the Etude House I Need You, Yogurt! Wash-Off Pack. Honey are truly sticky. 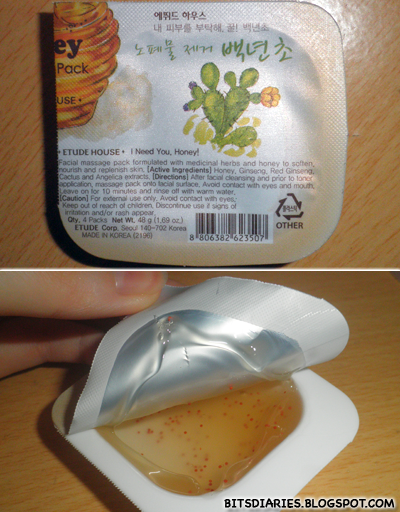 -_- But it's not sticky as the real honey you have at home. It's in orange color and contains little exfoliating beads. 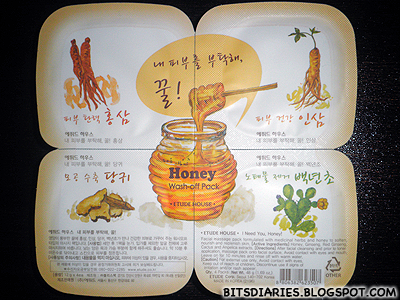 - Honey and Herbs Formula! Honey has a lot of good benefits for the skin. - omg, it's sticky = hard to wash off! Takes longer time to wash off compared to the Yogurt! Wash-Off Pack.